Avalon Hotel is a beautiful property in Thessaloniki countryside, ideal for travellers looking to experience a different side of Greek culture. It features 48 modern rooms, a restaurant, a bar, and a swimming pool with solarium. Avalon Hotel offers five categories of roomsl: Superior Double Rooms, Standard Double Rooms, Economy Double Rooms, Standard Single Rooms and Economy Single Rooms. Standard facilities across the rooms are en suite bathroom, bathtub, bathrobe, bath amenities, air conditioning, heating system, free WiFi internet, mini bar, safe deposit box, TV with satellite, work desk and iron/iron board. 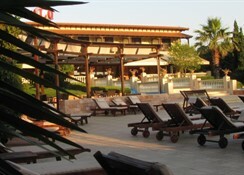 Arthuros is the main restaurant that offers Mediterranean a la carte menu and a separate bar menu. 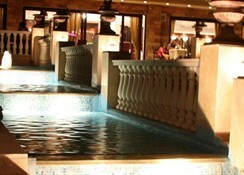 And located by the poolside, it offers a relaxed ambiance and scrumptious spread — it offers breakfast buffet. It houses an outdoor swimming pool suitable for both adults and kids — the pool opens between May and October. Next to the pool, there is a solarium and enough loungers, poolside pillows & bolsters and parasols — snacks and drinks are served by the pool. Located 3000 metres from the shore, Avalon Hotel is a boutique property built in the countryside. 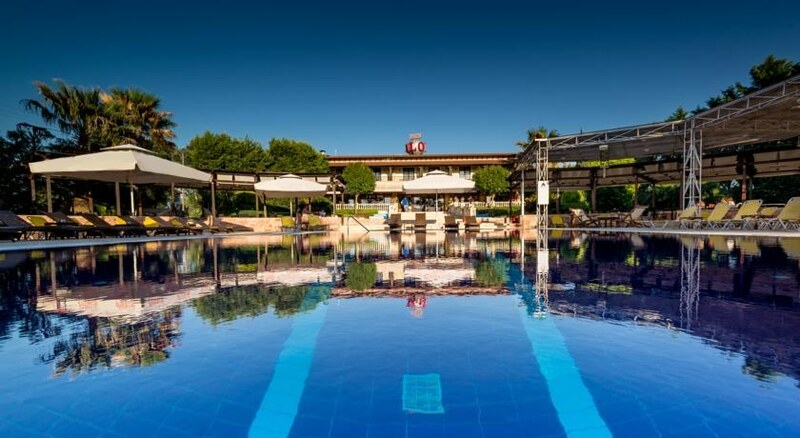 It is designed to provide pleasant accommodations to families, couples and large groups of travellers looking for a peaceful holiday in Thessaloniki. The airport is around 5 km from the hotel while Thessaloniki city is about 8 km away — Helexpo International Exhibition Centre 10 km and Railway Station is 11 km away. There are a few restaurants about 500 metres from the hotel, but to experience a livelier nightlife, you have to travel to the main city centre.